Jurgen Klopp believes Liverpool have proven their ability to beat “bus-parking teams” after Saturday’s 5-1 rout of Brighton and Hove Albion. The Reds were subject to repeated criticism last season for their failure to overcome the league’s 'lesser' teams, with the side notably coming undone against Swansea and Hull at the turn of the year. Such struggles have become a thing of the past, though, with Liverpool comfortably seeing off the likes of Stoke, Southampton, West Ham, Huddersfield and now Brighton in recent months. 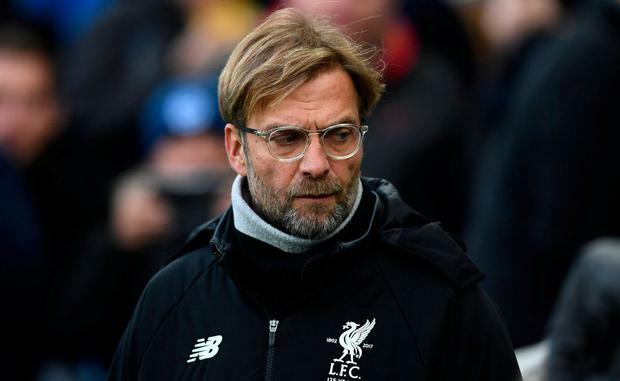 Klopp described this as “development” in the wake of victory at the Amex Stadium but remained reluctant to shower his players with too much praise. “Last year, a few [of your] colleagues said we didn’t have a plan against bus-parking teams – however people said it – and now we score five, we score three, we do things like this,” he said. “It’s development. He added: “I would be lying if I said I didn’t think ‘yay’. After watching his side dismantled by their north-west visitors, Brighton manager Chris Hughton insisted Liverpool “certainly have the quality” to push for the title – regardless of how slim the odds may be. “Liverpool are certainly good enough,” he said. “Manchester City are extraordinary at the moment in terms of the results they are getting and the way they are playing, but we all know in this game that what is now can be different in a month or two months’ time if they pick up injuries. Hughton was less forthcoming in his praise for his own team, though. “Where we can be a good side at keeping possession, I think that is as poor as we have been for a while in possession. Ed Malyon Manchester City's interest in Atletico Madrid midfielder Rodri may result in £35m being deposited in Liverpool's coffers, with the Spanish giants considering Marko Grujic as his replacement. Independent.ie Newsdesk Mohamed Salah joined Hollywood stars and political heavyweights for the Time 100 Gala in New York after he was named one of the world's most influential people by the US magazine. Andrew Baldock Liverpool boss Jurgen Klopp described the Cardiff City Stadium playing surface as "dangerous" after his team reclaimed top spot in the Premier League.